Former Rangers players face being landed with massive tax bills this year after failing to come to an agreement with HMRC, according to the Daily Record. 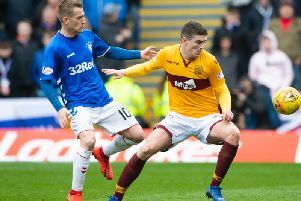 The taxman has been chasing ex-Ibrox stars and club figures after a Supreme Court ruling found that money paid through Employee Benefit Trusts (EBTs) were not loans but taxable earnings. Several players have agreed repayment plans with HMRC but many others have so far been unable or unwilling to do so, believing the club should be responsible for the bill. It is not yet known which players failed to meet the April 5 deadline. Some could be hit with seven-figure bills. A source close to EBT investigation told the Daily Record: “Some former players were quick to agree a deal with the taxman who has been very fair in sorting out repayment plans.